As a marine biologist Andrea’s interests largely lie within the field of scientific exploration. She considers herself a conservation biologist, and to that end her team’s research focuses predominately on questions related to the effective management and conservation of marine animals. To answer these questions Andrea is often required to travel around the world on exploratory missions. On these missions her goal is to examine particular aspects of a species biology or behaviour, to explore new habitats or regions of diversity, or to examine threats or areas faced with particular conservation problems. Personally Andrea has also always been interested in using technology to push the limits of our knowledge. Over the years in the field she has used everything from advanced or technical diving technology to specialized scientific equipment to explore the environments used by our flagship species. On our expeditions, this technology allows her to go deeper, spend longer periods of time, work in otherwise hazardous conditions and survey remote locations in an effort to gain a better understanding of an animal’s daily habits, a species’ biological constraints, or the threats that a particular population of animals might face. Andrea is one of the founders of the Marine Megafauna Foundation (MMF), a 501c3 charitable organization in the USA that is developing research branches across the globe. Underway since 2003, MMF’s longest running scientific research center is in Africa. 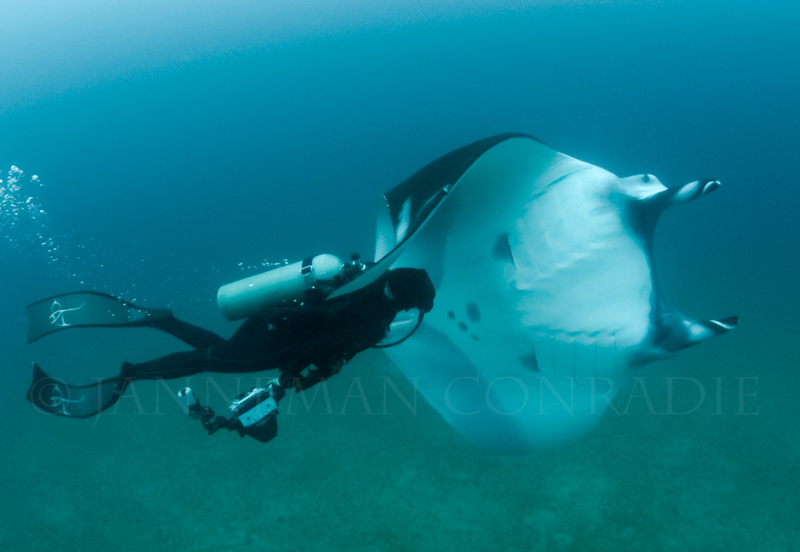 Focused on the Inhambane Province of Mozambique, one of the center’s flagship programs is on manta rays. As its principal scientist, Dr. Andrea Marshall, directs her team’s efforts towards key aspects of the biology and ecology of both species of Manta. Locally in Mozambique, the Foundation’s intention has always been to use their data towards effective management strategies and conservation initiatives. 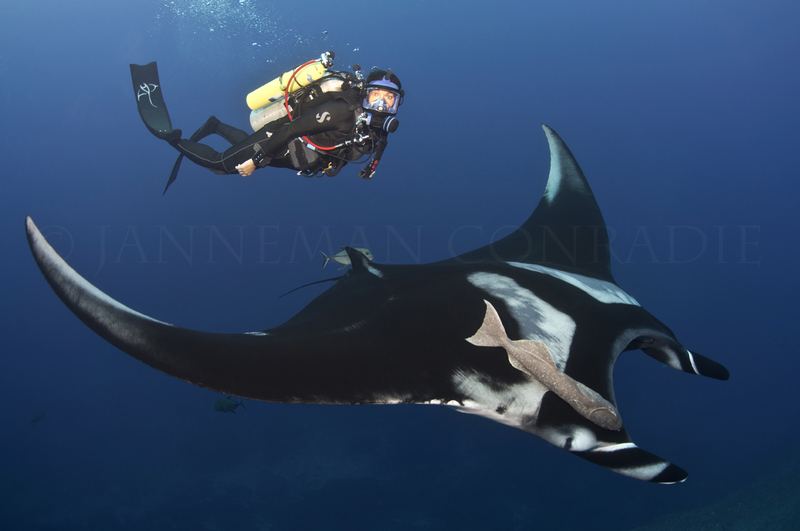 To that end, Andrea continues to work on topics related to the monitoring and management of the local manta ray populations and the development of a marine protected area that would protect the critical habitats that line the Mozambican coast. 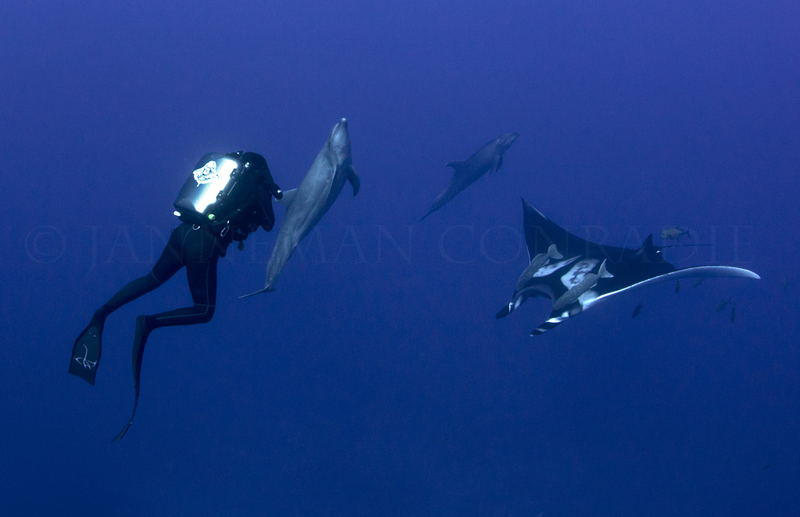 A passionate conservation biologist, Dr. Marshall also monitors anthropogenic threats to manta ray populations across the globe from southern Ecuador & the Galapagos Islands, to Myanmar and Indonesia. She is also heavily involved in global conservation initiatives for manta rays and has been actively involved in listing them on the appendices of CMS and CITES. 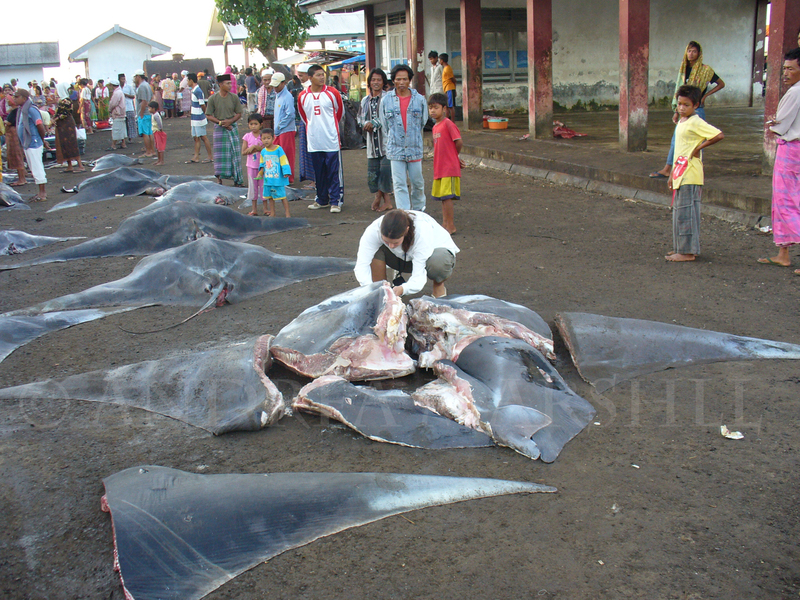 As internationally threatened species, the health of many manta ray populations are now being examined and the sustainability of emerging fisheries questioned. Effective management and sustainable long-term conservation can only be properly actioned once the needs of a species and its biological constraints are properly understood. To that end, Andrea and her team continue to focus their research efforts to best inform on conservation action plans and long-term management strategies in the countries they work using multidisciplinary approaches to define the conservation priorities of the different populations of manta rays.